If you're more of an Amazon Alexa rather than a Google Assistant fan, you should definitely go for the US retailer's Echo Dot. It's cheap, reliable and chock-full of features; not to mention that it fully supports multiple music streaming services like Amazon Music, Apple Music, Spotify, Sirius XM, and others. The newest Amazon Echo Dot is quite cheap at just $50, but you can find it cheaper during sales. Even now Amazon is running a promotion on the Echo Dot (3rd Gen) with savings of 20%, but you can save much more if you buy the bundle of three units. According to Amazon, you can save no less than $80 when you buy three Echo Dot (3rd Gen) smart speakers. Even though it's not as advanced as Google Assistant, Amazon Alexa has more than 50,000 skills, with more being added each month such as tracking fitness, playing games, and more. You can even use your voice to control your smart home, including turn on the light, adjust thermostats, lock doors, and more with compatible connected devices. 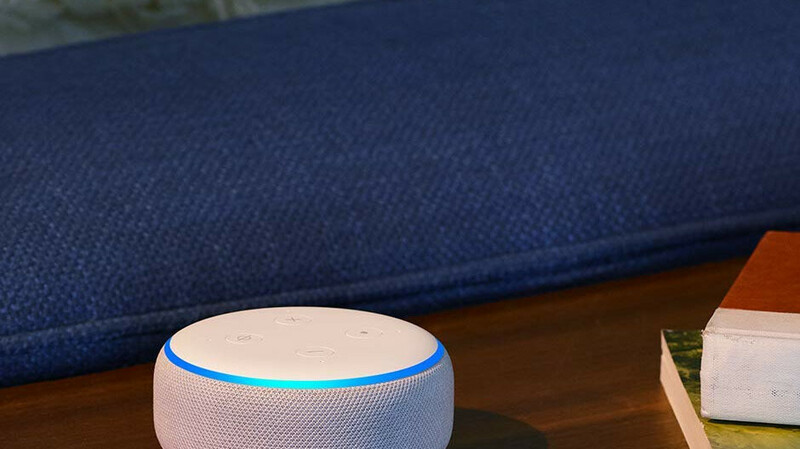 If you plan to keep at least two of the Echo Dot units for yourself, you can pair them for rich, stereo sound. And don't forget that you can connect to your own speakers over Bluetooth or with a 3.5mm audio cable.